You’ve probably noticed that, for better or worse, interior design can have an immediate effect on your mood. You may walk into a living room with cloud-like sofas and feel instantly relaxed, while in a restaurant with busy wallpaper, you may feel energized or even overwhelmed. While the general aesthetic and furnishing choices can set the mood, color, as it turns out, has been proven to affect your stress levels. A Minnesota State University study on the effects of room color found that red environments increase stress responses, while green and white environments have the opposite effect. 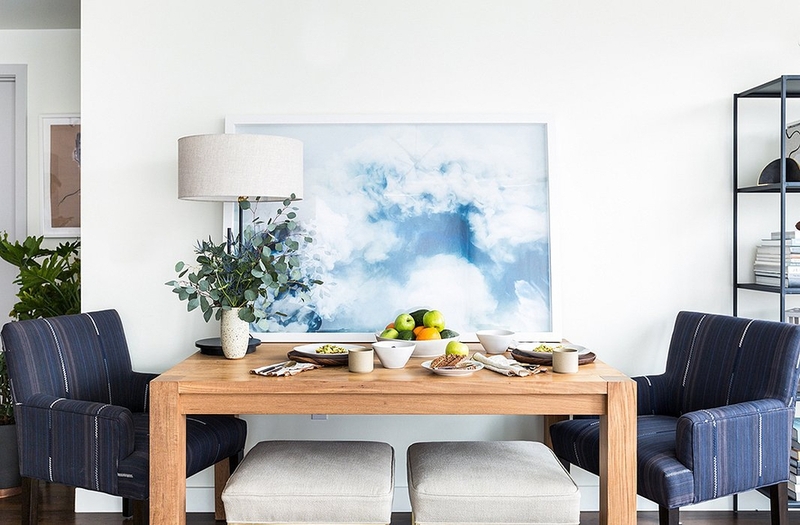 If you want to facilitate a space that keeps stress at bay, the most calming hues are usually in the blue family, but soft, dusty shades of other color families can also soothe you. Read on for a few recommendations. Peaceful and calm, blue paint colors can calm your mind, lower your blood pressure, and reduce anxiety, and even slow your heart rate. 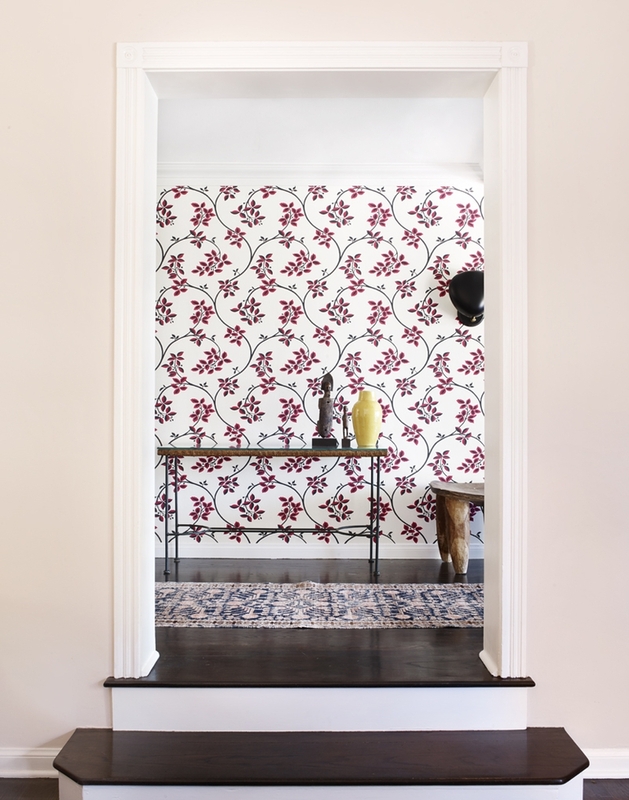 For a most calming effect in a bedroom, sitting room, or other relaxing space, choose a soft, quite shade. Blue-greens are also beautiful choices for stress-free spaces. Lavender has a blue base, so it makes sense that this color would have a calming effect. When choosing a shade of lavender paint, look for something muted without too much black in it. Soft violet or lilac are similar in color balance and can have an equally stress-relieving effect. Both dark and light greens are some of the most restful and quiet colors. It may be because the color cues up nature in our minds—and spending time in nature has also been proven to reduce stress and improve happiness. After spending time in green rooms, the MSU study found, subjects had lower stress rating scores, compared to red rooms. 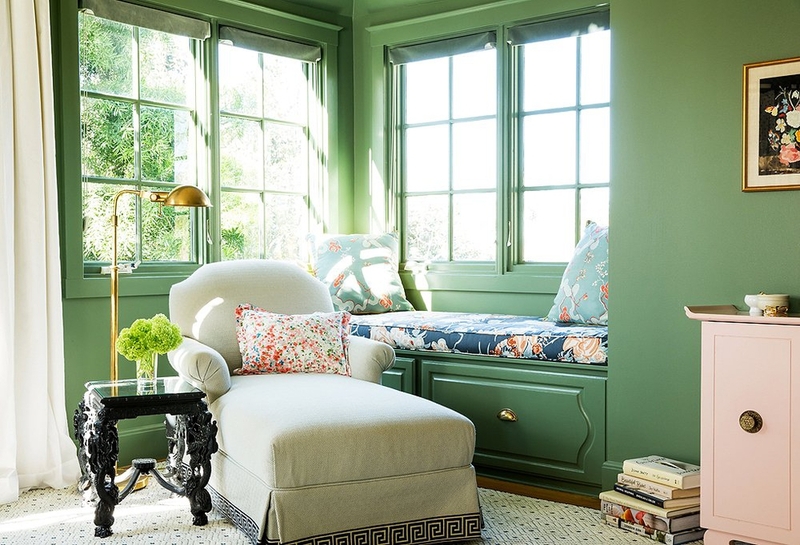 Green paints with beige or pale yellow undertones are suggested to be the most stress-relieving shades. While bright, vivid pinks like fuchsia or dark pinks that are nearly red may actually increase your stress levels, soft dusty shades of pink, which have a heavy dose of white, can have a peaceful, calming effect. Look for pastel pinks that won't overstimulate you. The much-talked-about "millennial pink," which has beige undertones, is a great example, as well as a nearly white "baby pink." Unsurprisingly, whites can also be remarkably calming. The MSU study found that, like green rooms, white rooms can reduce stress levels. However, subtle differences in tone in white paints can actually cause very different reactions in people. To create a calming environment, stick to clean, bright whites and avoid dull paints or those with dark, moody undertones.